Walk the World's Greatest Trails To walk is to discover, from those first halting steps as a child to walking the world's greatest long-distance trails. Experience breathtaking coastlines, mountain ranges, historic landscapes, wilderness areas, religious pilgrimages, great cities, and iconic rivers. Walk to learn more about our beautiful and curious world, to be healthy and happy, to add adventure and authenticity to life, and to learn something about yourself in the process. Walking is simple, but it can also be profound. 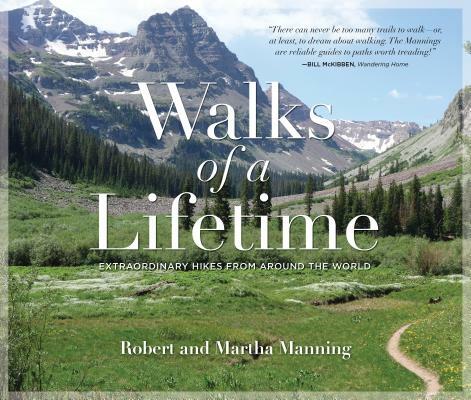 Veteran outdoor enthusiasts Robert and Martha Manning invite readers to experience the joy of walking in Walks of a Lifetime. They offer firsthand descriptions of thirty of the world's great long-distance trails and multiday walks, including personal anecdotes, natural and cultural history, practical tips, and full-color photographs and maps. Walks range from inn-to-inn routes to backpacking treks and are found across North America, Europe, Asia, Australia, and the Pacific. Trail descriptions are accompanied by a series of short, engaging essays on the many dimensions of walking. Robert Manning is a professor at the University of Vermont who teaches and conducts research on the history, philosophy, and management of national parks. He has won the university's highest awards in both teaching and research. Martha Manning is an artist working in fiber and printmaking. Her work has been published in national magazines and in nationally juried shows.